MMO MMORPG News·Articles·Conquer Online Announces Third Official Expansion! Conquer Online Announces Third Official Expansion! 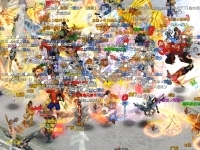 Conquer Online is set to kick up a frenzy in 2010 with its third official expansion, “Legends Return”, due for release in conjunction with the game’s 7th anniversary this April. 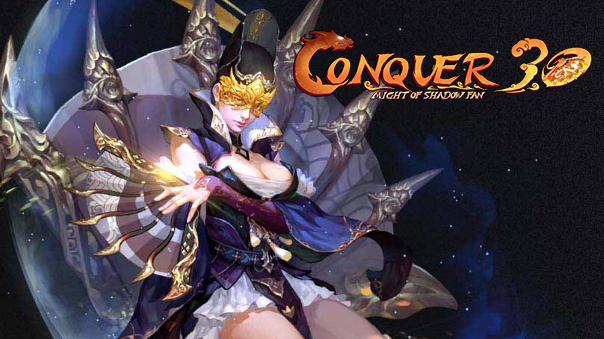 After opening its gates in 2003, 7 years of Conquer Online has seen millions of players flood the high-kicking MMO’s servers, immersing themselves in the grand adventure of Kung Fu heritage and ancient Chinese mythology. TQ Digital are honoured to announce that the game will be kept as fresh and vibrant as ever in 2010, thanks to the upcoming April release of its reinvigorating 3rd official expansion, Legends Return. Following the New Dynasty (2008) and Riding Clans (2009) expansions, Legends Return is being billed as a special present for Conquer Online’s loyal playing community, bringing a plethora of major new features and improvements that were requested during the games 2010 New Year’s Resolutions event, which allowed users to put forward their game related wants-and-suggestions in a classic new year’s resolution format. Listening to the heart of the community and delivering to their needs has been an integral part of keeping Conquer Online both appealing and exciting to play over its 7 year reign, and Legends Returns will be a defining example of this. After processing the most impressive and majority requests, players of TQ Digital’s popular game can expect a new skill system, high grade equipment, new guild wars, gritty dungeons, intricate quests, a new class (Monk), and much, much more! This thrilling content will be released in 3 exciting chapters throughout 2010, beginning with the first chapter in April and lasting until the final chapter is introduced at the end of the year. In Chapter 1, the first release of the Legends Return expansion, the Shadow of Darkness will throw players into an age of chaos and destruction. An ancient legend has told of special sub-classes that will be recovered when evil befalls the land, and now that prophecy has been fulfilled. New skills and fabled weapons were recently unearthed by thieves, but their blind lust for gold has seen them unwittingly help an incredibly powerful, unspeakably evil demon rise from the very pits of hell. Can you help stop him?